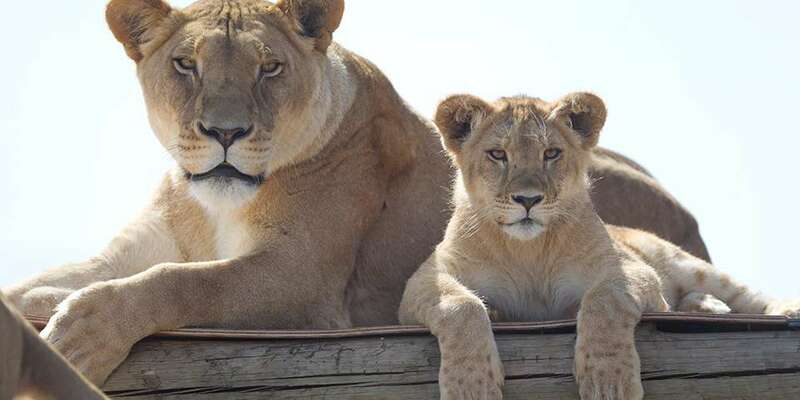 Monarto Zoo is home to Australia's largest lion pride! Lionesses share the hunting and babysitting duties. Monarto Zoo is home to one of Australia’s largest lion prides. With seven adult females and two adult males, the lion habitat is always a hive of activity! 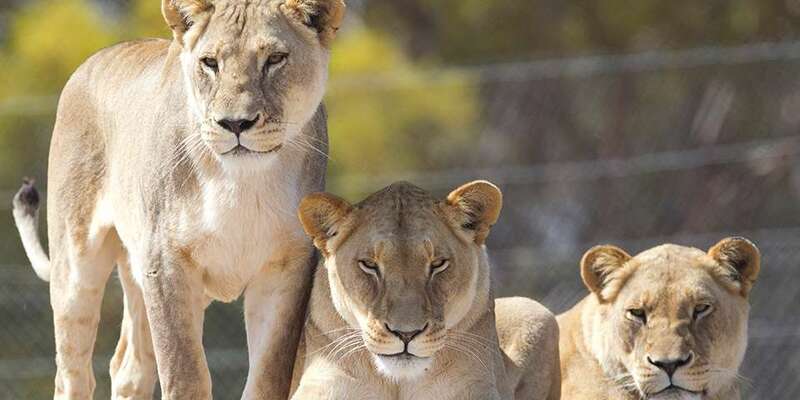 The females within the pride consist of sister trio Tiombe, Kibira and Zalika who were born in 2004 at Auckland Zoo before arriving to Monarto in 2005, and mother-daughter duo Kiamba and Jahzara. Mum Kiamba was also born in 2004 and arrived at Monarto in 2005 from Adelaide Zoo. She gave birth to the gorgeous Jahzara in 2011. Each lioness has their own distinct personality and characteristics but all share a love for a tasty treat of turkey pieces and basking in the sun under the shade of the trees in their habitat. Our five youngest lions were all born in 2013 to mums Tiombe and Kiamba. Tiombe’s three cubs, a boy named Jelani and two females named Husani and Nia were born in April, while Kiamba’s pair, a male named Mlinzi and a female named Makena, were born in June. Inkosi, born in 2007 as part of Monarto Zoo’s first-ever litter, is our eldest male lion. He shares his exhibit with young male Jelani. The lions have a ball hanging out with each other and have an extensive enrichment collection including bowling balls, different sized barrels and ocean buoys. As for their favourite treats… when you’re a hungry lion, everything is delicious! At present, our males are housed separately to the larger female pride. African Lions are native to sub-Saharan Africa and live in rich grasslands and light woodlands of eastern Africa to the more arid areas of the Kalahari Desert. Lions live in large family groups called prides, which usually consists of a dominant male, a dozen females and their offspring. 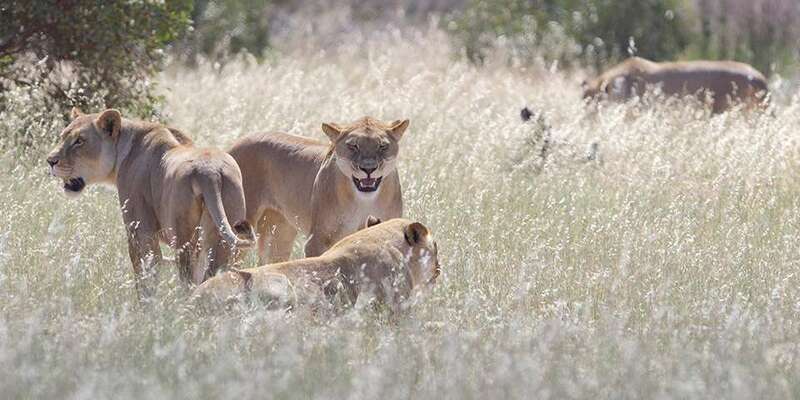 Lionesses share the hunting and babysitting duties, but it’s not all easy going for the boys, who are responsible for protecting the pride and territory. As the only social cat, they have a well-developed sense of humour! Ensuring African Lions thrive for years to come is no funny business. It’s estimated that between 16-30,000 lions exist in the wild. Lions historically ranged throughout Africa, the Middle East and southwest Asia. Today, the population is found in an isolated pocket of India, where the Asiatic Lion is classified as endangered with less than 400 individuals remaining, and sub-Saharan Africa. Like lion numbers, habitat for lions has declined as human population, land cultivation and numbers of livestock have steadily increased in areas lions call home. 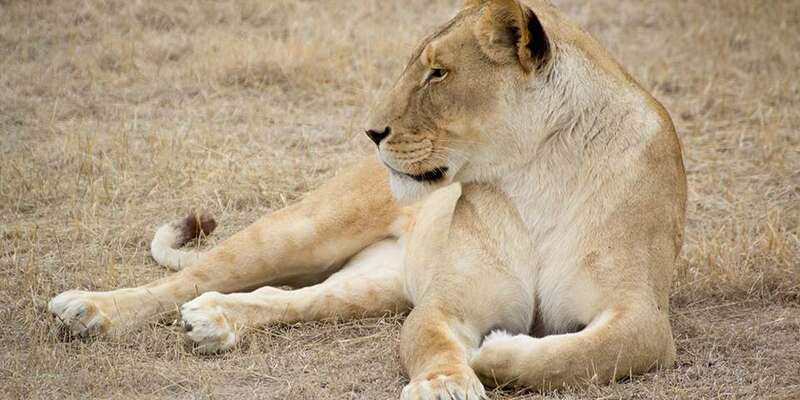 Lions are often killed to protect livestock or as retaliation kills for livestock loss. Love lions? 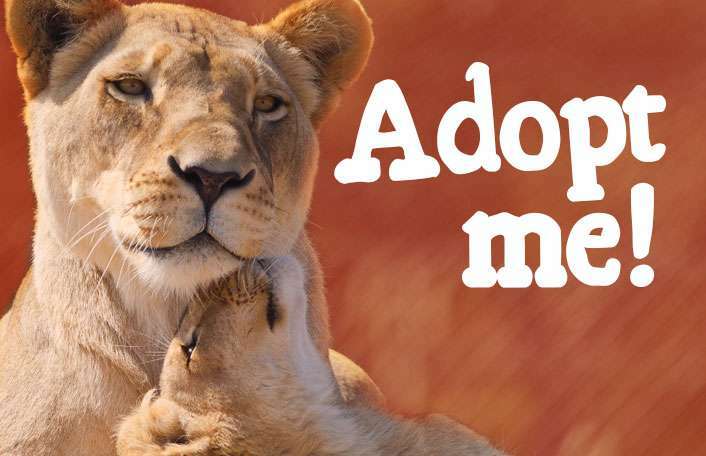 Join our pride and ensure lions stay a pounce ahead of extinction! There are many ways you can help support these majestic creatures.